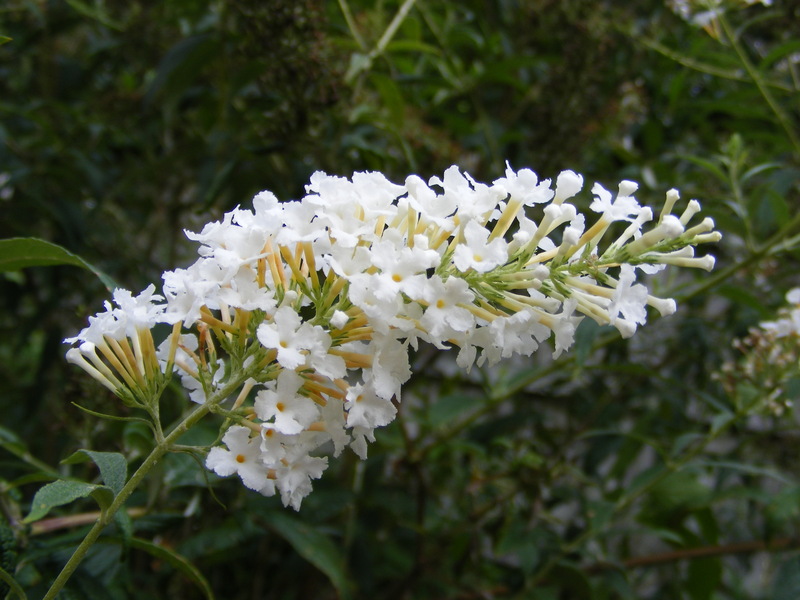 When we bought this lovely house and started gardening here, I was surprised by how well my butterfly bush performed year after year. I had never owned a buddleia before and never thought that much about them. It’s funny how the plant you don’t try that hard with ends up being a shining star in your garden. 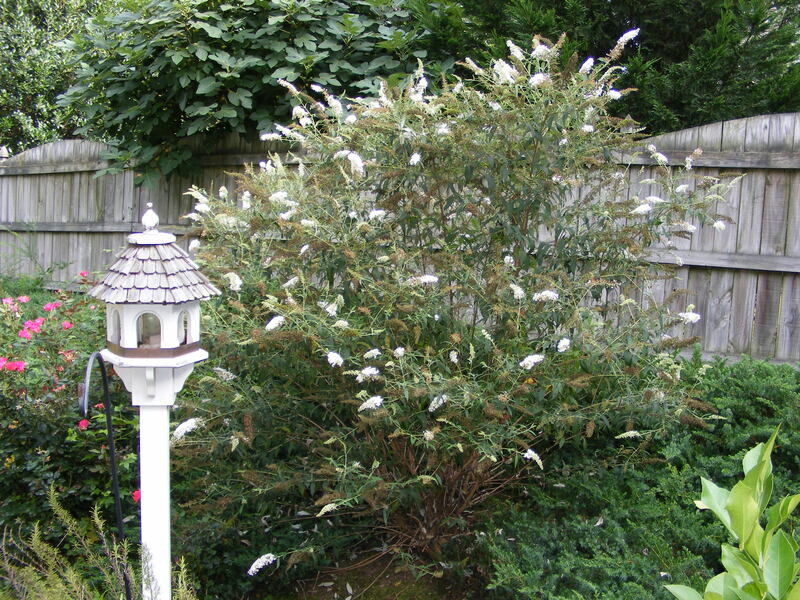 I love the way it resembles a fountain of flowers behind my English style bird-feeder. I’m glad I planted it outside my breakfast room window. It’s wonderful to look out the window and see it in all it’s snowy glory. When I walk out on our deck, butterflies come and go, to and from the showy flowers, making a flight path over my head. If you don’t have a buddleia, I highly recommend you acquire one. They come in many different colors and many are even fragrant. It has not been bothered by any pests and it tends to be rather easy to take care of. Buddleias bloom on current season’s wood. In the late winter to very early spring, you must prune it almost all the way down to the ground. I generally prune it to approximately 1 to 1.5 feet tall. Over the course of the growing period it reaches 6 to 8 feet tall! Deadheading the flowers is recommended, but due to the slope where mine is planted, I do not clip off the flowers. The last time I tried, I took a tumble down the slope and decided other gardening chores would be less dangerous. In the future, I plan on trying other buddleia colors and forms. There are new dwarf forms and even some with orange flowers. I’m glad I chose a white variety. The white flowers shine beautifully at night with a full moon. Many times at dinner in our little breakfast room, you can look out and see the floating white flower-heads suspended on long branches. What a lovely view it brings to me and my family. Dinner and a show! Love to all and happy gardening!